Driving change for the benefit of our customers, our colleagues and our organization. Providence Business News reporter, Jaime Lowe, sat down with Susan LaMonica, chief human resource officer at Citizens Bank for the article, ‘Facilitating Citizens’ new path’. In it, Susan discusses the organization’s approach to managing change and a new direction of growth. Susan LaMonica, chief human resources officer of Citizens Financial Group Inc., the nation's 13th largest bank, mentions the word "change" often. Because that's where Citizens is right now – in a pivotal place of change. "We're a company that's going through enormous change and transformation. We're going from being a division of a global company to being a stand-alone, independent, publicly held company," she said. Having recently separated from former parent company Royal Bank of Scotland PLC, Citizens is focused on improving its performance. 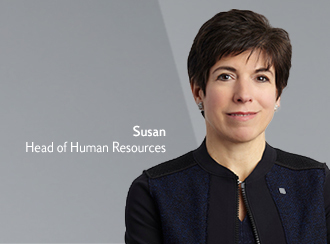 "As head of human resources and a member of the company's executive committee, Susan is playing a critical role and driving changes that will have long-term benefits for Citizens and for its customers," said Lauren DiGeronimo, vice president of media relations. LaMonica has brought her talents to many different aspects of Citizens, including talent development, recruiting and communications. 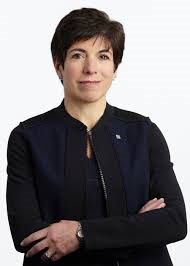 She also successfully helped lead the "people strategy" during Citizen's 2014 initial public offering, the largest bank offering in the nation's history. Born and raised in New Jersey, it's only recently that LaMonica joined the team at Citizens. She previously worked at JP Morgan Chase for 23 years in a variety of different roles, including operations and technology, risk and HR. She left JP Morgan in 2007 and arrived at Citizens in 2011. "Just to give you a little perspective, once it became clear that RBS was going to do an initial public offering, the future of Citizens became really clear. It gave us the opportunity to challenge everything we were doing from a people and an HR standpoint and ensure that our work and efforts were very much aligned with the direction of the company," LaMonica said. LaMonica's contributions to Citizens include managing the development of leadership. "We need leaders that really can effectively drive the kind of change and transformation that we know is critical for our success," she said. In terms of talent development, which LaMonica is known for, she and her team introduced a program called myCAREER to the company, which equips employees with resources and tools for honing their skills and managing their career paths. "Our philosophy regarding career development is really rooted in the belief that we want to make our colleagues as employable as they can be. Experiences only make them more valuable. … We try to reorient their thinking about the way they view careers. "Careers aren't meant to be to be viewed vertically. You can also move laterally. ... So what we did is we got rid of our traditional grading system. We went to more of a ‘broadband' approach. For every job, we identify the core set of skills that the job requires. … So we came up with a common language, a common way of defining the skills, and have created a kind of a library." LaMonica's work with recruiting has brought "record application rates for roles," wrote DiGeronimo. It involves embracing new technology, such as using videos, photography and messaging on Citizens' new career site, which helps candidates get a more in-depth feel for the role and for the bank in general. Another area at which LaMonica excels is communication. 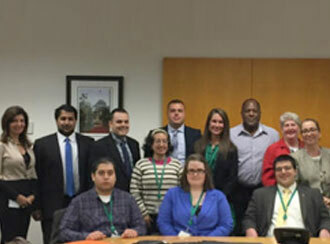 Under her administration, the company hosts "Let's Connect" meetings, which bring together colleagues with senior leaders in small groups to convene about objectives, opportunities and progress. "We've had a lot of success in attracting and hiring people into this organization because they find the growth and change in our story so compelling," LaMonica said. "In the banking world, there are very few companies that are about growth. And that's really what Citizens is – it's one of the few growth stories out there." "At the end of the day," said DiGeronimo, "Susan's work as head of HR has contributed to the success of the company through all of the key metrics – increasing profitability, implementing improvements, streamlining operations, maximizing value and more." 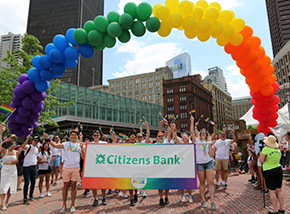 Learn more about life at Citizens Bank and our exciting career opportunities available.